Clay County Healthcare Authority patients and residents can now pay their bill online 24/7 with a credit card or debit card (Visa, Mastercard, or Discover). By clicking the button below, you will be redirected to a secure, third party payment processor, Authorize.net. 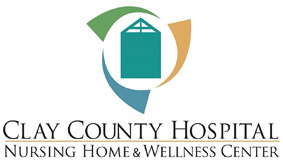 The payment site is operated and maintained independently of Clay County Healthcare Authority. You will need your Clay County Hospital/Nursing Home bill TOTAL DUE and PATIENT/RESIDENT ACCOUNT NUMBER when paying online. Please enter the Total Amount Due on the first screen, then fill in your Credit Card and Patient Information including your Patient Account Number on the next screen. Note: The payee on your financial statement for this transaction will be listed as Clay County Hospital.